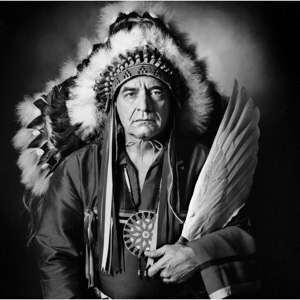 Chief Phil Lane Jr. is an enrolled member of the Yankton Dakota and Chickasaw First Nations and is an internationally recognized leader inhuman and community development. During the past 44 years, he has worked with Indigenous peoples in North, Central and SouthAmerica, Micronesia, South East Asia, India, Hawaii and Africa. He served 16 years as Associate Professor and Founder and Chairman of the Four Worlds International Institute at the University of Lethbridge, Alberta, Canada. With Phil’s guidance and applied experience, Four Worlds has become an internationally recognized leader in human, community and organizational development because of the Institute’s unique focus on the importance of culture and spirituality in all elements of development. “I am very pleased to find the Jungian connections to In Claritas. My late Uncle Vine Deloria Jr. wrote the book CG Jung and Sioux Traditions that was published after his death in 2005. It was the first and only book to be written by an Indigenous person about Dr. Jung. Dekshi Vine wrote three completely different drafts until he finally wrote his fourth and final draft. It was by far the longest time he ever spent writing a book over a very long and distinguished literary career that began in 1969 with the book Custer Died for Your Sins. “Dr. Jung first entered my spiritual life at the beginning of 1968 when I first read his books Memories, Dreams, Reflections and Man and His Symbols that were followed by others over the years. This past April I had the great joy of giving the Spring Presentation to the C.G. Jung Society of North Texas entitled, “An Indigenous Perspective on the Life and Work of C.G. Jung.” It was a great joy because I spent some much focused time, over several months, re-reading an overview of Jung’s collected works and reflecting on my own experiences and life over the past 67 years. I thoroughly enjoyed the whole process from beginning to end! “Finally, I would like to share a couple of links I think are relevant for the work of the In Claritas community: Guidelines for Talking Circles and Principles of Consultation; Spiritual Qualities of Leadership-An Indigenous Perspective, and Guiding Principles for Consultation, Steps for Raking Unified Action, and Non-Political Elections. we heal ourselves, our relationships and our world.